We're going to Kauai and we can't wait! Oh, that looks like heaven! We have not been to that island, but we took our honeymoon in Maui AND hands down it was our favorite vacation spot EVER! I am so excited for your family and you must be so anxious for this week to zoom by! OOOOOOOHHHHHH! I am soooo jealous! I can't wait to see pictures and hear all about it! We went to Oahu a few years ago and loved it but we would love to go back and explore some of the other islands! i hope you have the very best vacation ever!!!!!! 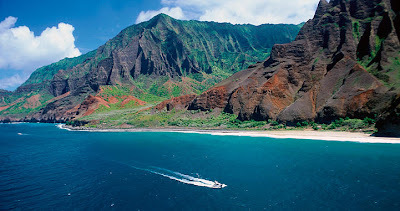 My husband went to Kaui before we got married and he has been begging me to go back. Let me know what you think. I cannot wait to see the pictures!